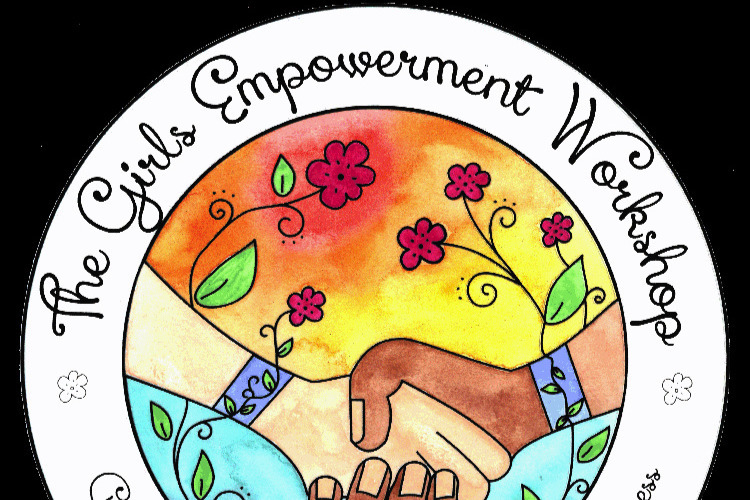 Two years ago a Teacher from Malawi named Yamiko Kawale reached out to Tobi Jo Greene, founder of The Girls Empowerment Workshop in Ojai, CA, to seek support in developing a program to empower girls in her community. Tobi was eager to mentor Yamiko and support her in her mission. After two years of regular correspondence, what has resulted is a cross-continent collaboration between The Girls Empowerment Workshop and Yamiko's growing program, GEM (Girls Empowerment and Mentorship). The presence and success of Yamiko's program, GEM, is vital not only to the empowerment, but the general well being of young girls growing up in her community. 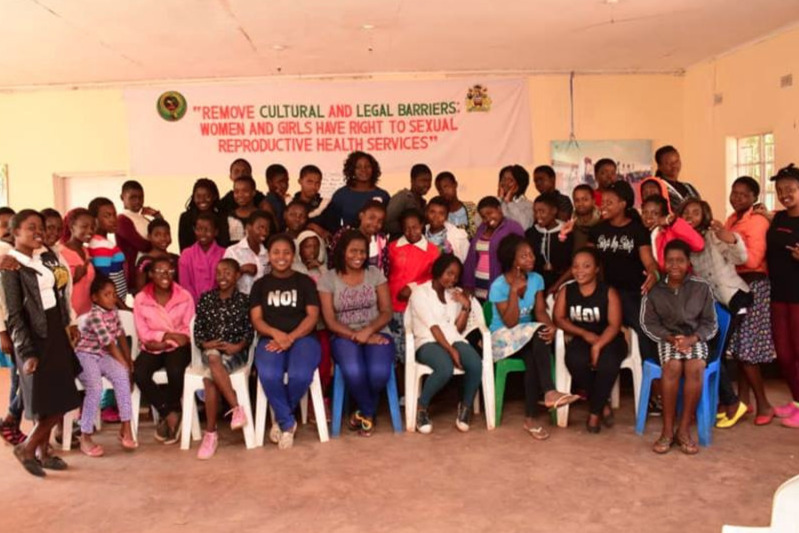 For example, Malawi has only recently prohibited child marriage, and girls must continue to survive through rampant sexual assault and harassment with little to no advocacy, resources, or support. Many Malawi girls from rural areas also lack access to education as well as safe, hygienic supplies for their menstrual cycles, and as a result miss upwards of a week of school every month because they do not have needed menstrual care products. The Girls Empowerment Workshop is hosting a series of Sew In Camps at The Ojai Valley Woman's Clubhouse led by local seamstress Diane Steele. These camps will gather adolescent girls together with experienced seamstresses to learn how to sew menstrual pads that will be donated as part of self-care kits to the girls in GEM. The Girls Empowerment Workshop is sending a team to GEM Malawi, where Diane will teach Yamiko and her girls to sew their own menstrual pads, along with a donated sewing machine, that will provide a way to sustain a supply that will keep them in school and actively engaged in creating their own bright futures. 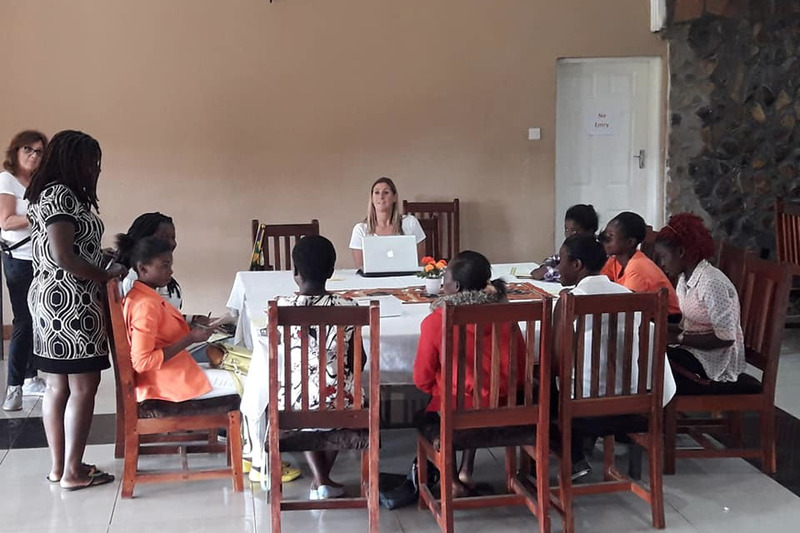 Santa Cruz based Nurse Midwife and Women's Health Practitioner, Elise Garrett, will provide lessons to the girls of GEM on the female menstrual cycle and self care, along with lesson plans for Yamiko to use to carry on the education throughout her programming. Malibu based photographer, and dear friend of Diane, Janet Birch, will accompany the education team and contribute her photo journalism skills. In response to the epidemic of sexual assault and harassment young girls around the world face every day, we are using some of the raised funds to bring a Malawi-based self-defense training program to GEM to offer Yamiko's girls tools to empower them physically, emotionally, and spiritually. We need your help to make this important project take full flight. 1. Help us host more Sew In Camps in Ojai, which will continue to engage adolescent girls within a mentoring environment to feel empowered about their bodies and involved in projects aimed to inspire and educate girls everywhere, paired with providing an ongoing source of menstrual kits for girls in need globally, which in turn keeps girls in school. 2. Provide Self Defense and Assertiveness instruction to the girls of GEM in Malawi, and possibly others. 3. 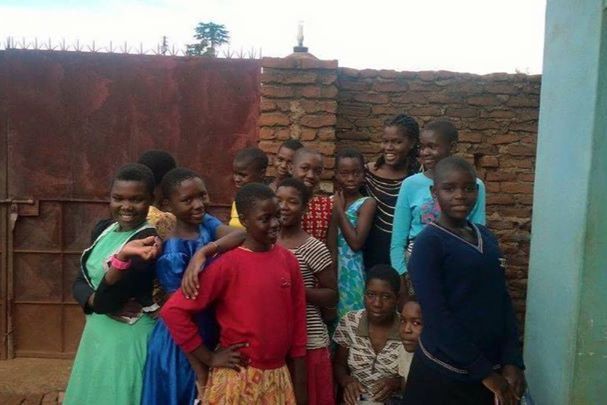 Make our project in Malawi possible by providing funds for travel expenses, needed supplies, self-defense training for Yamiko and her girls, and more. 4. Fortify our relationship with GEM so we can continue to collaborate on our shared goal to empower girls locally and abroad with education around menstruation and their bodies. On behalf of the thousands of girls and women who are part of GEM and The Girls Empowerment Workshop, we thank you for your generous support. The Ojai Valley Woman's Club for the ongoing support and donation of the use of their Clubhouse. Diane Steele for her sewing expertise, love for this project and drive to make this happen. Elise Garrett for saying yes, and being a vital part of the travel/education team. Janet Birch for joining and documenting the Education team in Malawi. Siobhan McDevitt for her time, networking, input, and financial support. Lori Hamor tirelessly helping with all aspects of this project. Jill Oliveras and All-State Insurance/WE Campaign grant money for supplies to get us started. Grace Malloy of Poco Farm for the handmade soaps which will go in each menstrual care kit. Anna Nozaki of Catty Wampus for donating workspace & fabric for our community first Sew day. Odessa Runyan who led and organized our first community SEW IN to provide menstrual kits. Jaquelyn Toth for her editing skills and support of this mission. Yamiko Kawale for trusting in The Girls Empowerment Workshop & her dedication to the girls in her community. We would like to thank you properly for your generous support and contributions. Thank you ALL for your contributions of financial support AND LOVE. Project GEM Malawi was an enormous success. Diane taught GEM Leader, Yamiko, and a group of girls to sew their own menstrual pads, as well as distributed over 50 Menstrual care kits to girls in need. Elise taught everyone about their bodies, sexuality and reproductive cycles, and the girls enthusiastically participated with so many questions much and enthusiasm. Janet documented the entire project and we will be organizing an event for everyone to see the photos and hear directly from the leaders who took this project by the reigns! Please stay tuned for your special invitation. ALL OF THIS was made possible because of Diane, Elise and Janet's enthusiasm and passion paired with YOUR support. It truly took a village. Because this project was many fold, and included providing self defense, the travel and lodging of our education team, travel for the participants, and much more, we still have $3000 to raise to cover this and begin working toward the next project. If you feel inclined, please share this information with your friends, colleagues and family. 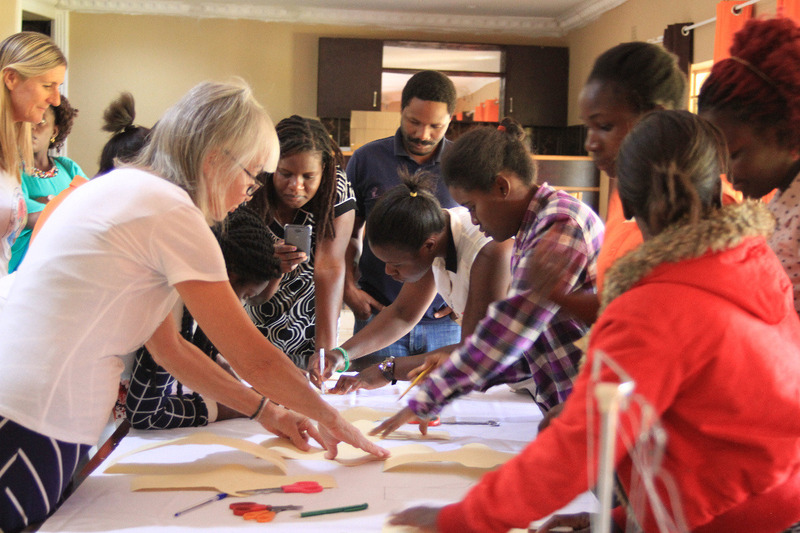 Diane and Elise are busy teaching... Day one is happening now in Malawi. 10 girls for the first three days will learn about female health and to sew their own menstrual pads, and on day 4, 40 new girls will arrive and be gifted the kits our community gathered together to sew, paired with female health education. To our generous community of supporters, The Girls Empowerment Workshop is halfway to meeting our financial goals of covering the cost of this project, thanks to all of YOU. Today I meet with Elise Garrett, the Nurse Midwife who will be traveling to Malawi to fine tune the lesson plans she will be teaching the girls. These lesson plans include reproductive anatomy, menstrual cycle science and self care, paired with communication and assertiveness skills. These lesson plans will also be gifted to GEM so they can continue teaching the girls who come through their programs. Diane Steele has wrapped up 8 community Sew-Ins and is preparing to pack up two donated sewing machines and several supplies, to teach the girls in GEM to sew their own menstrual kits, as well as provide a sustaining means for GEM to keep girls equipped with menstrual supplies, in turn keeping them in school. We still have a ways to go to cover the expenses of this worthy project, so please continue to share with your community of friends, family and co-workers. Let them know you have donated and why.